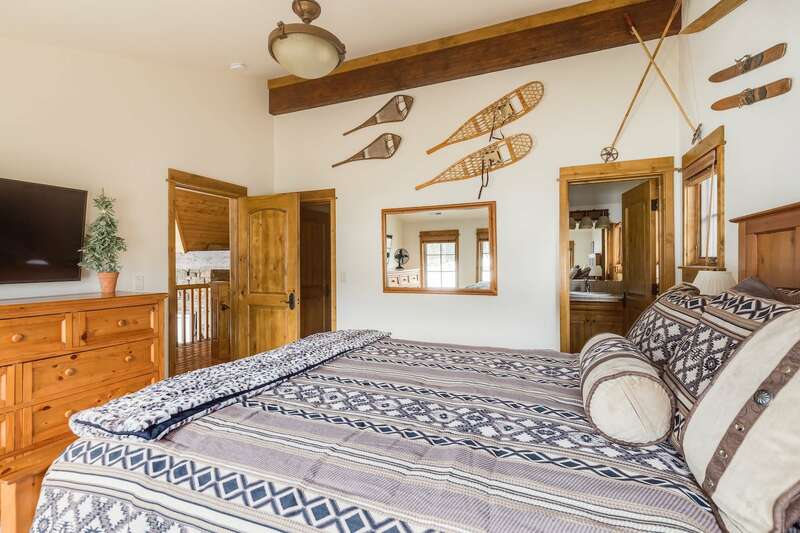 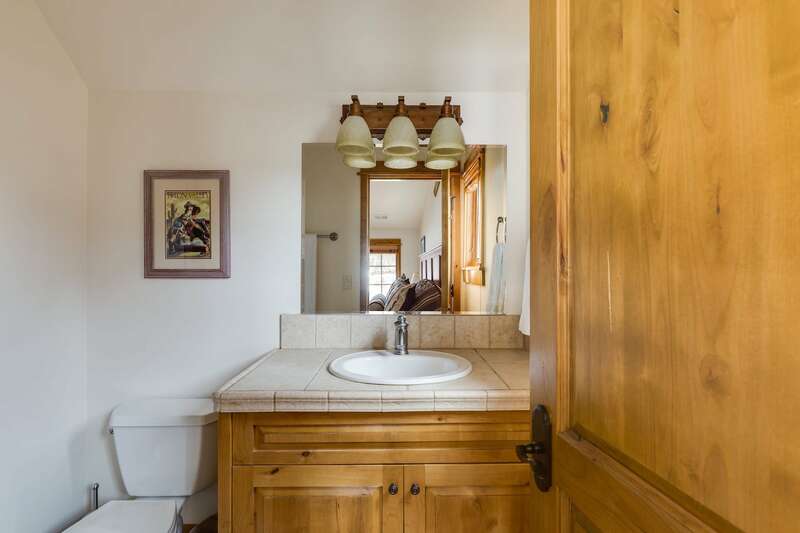 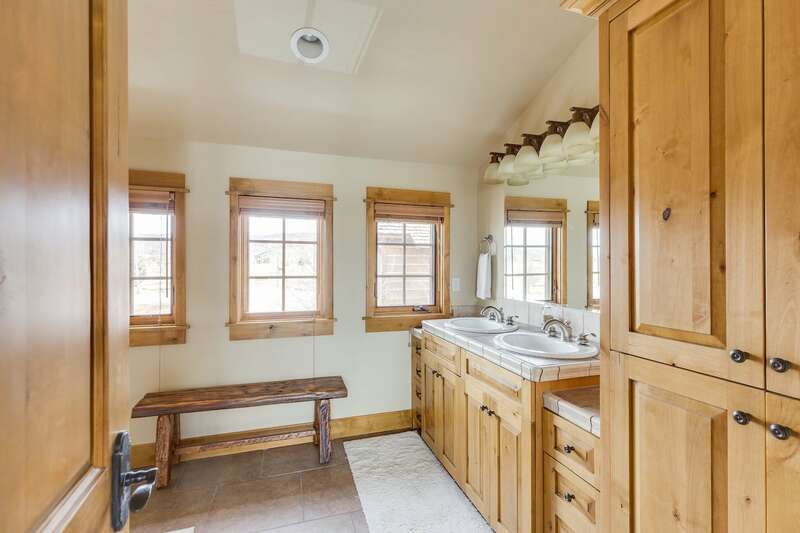 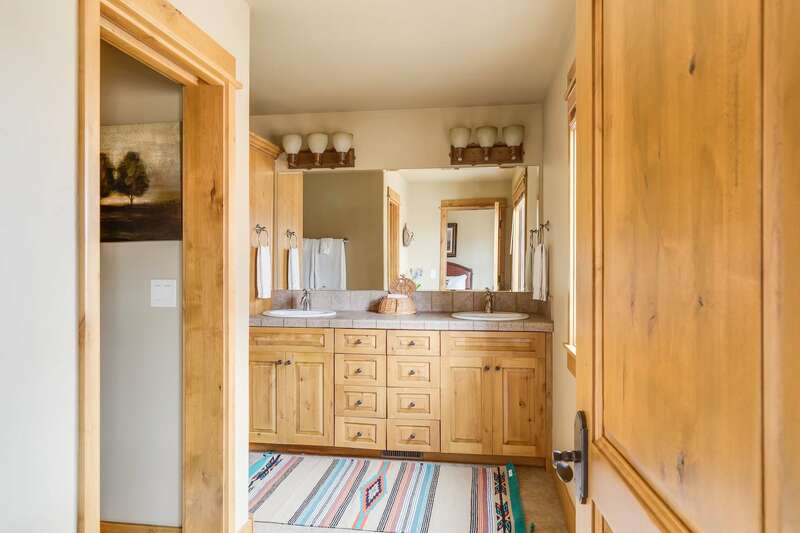 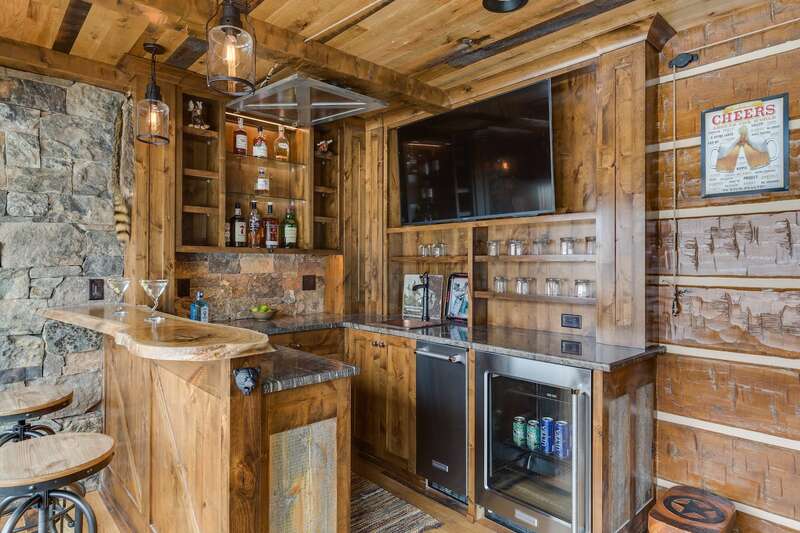 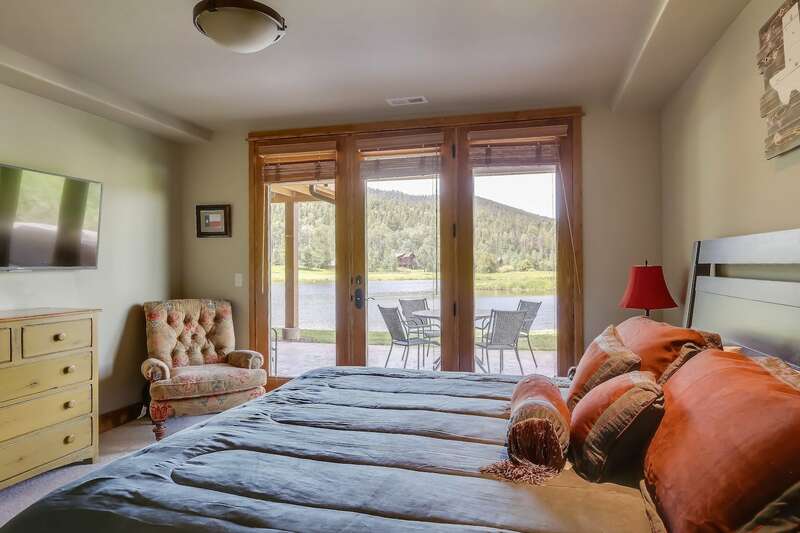 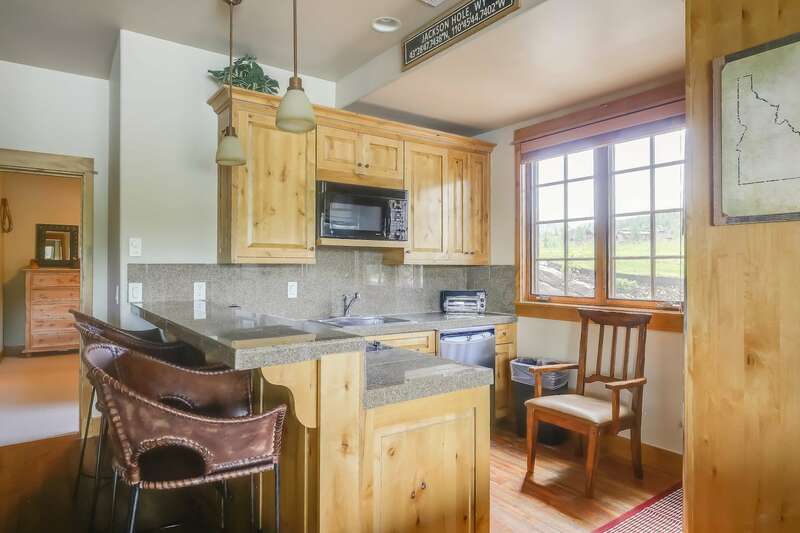 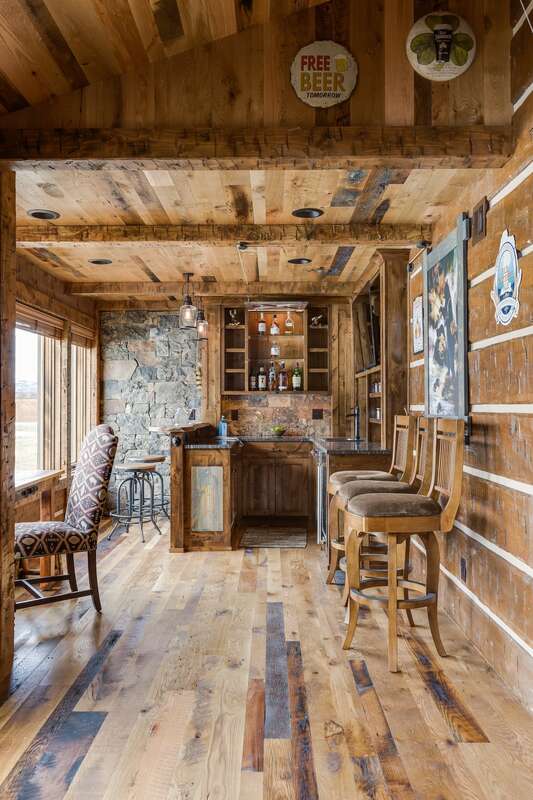 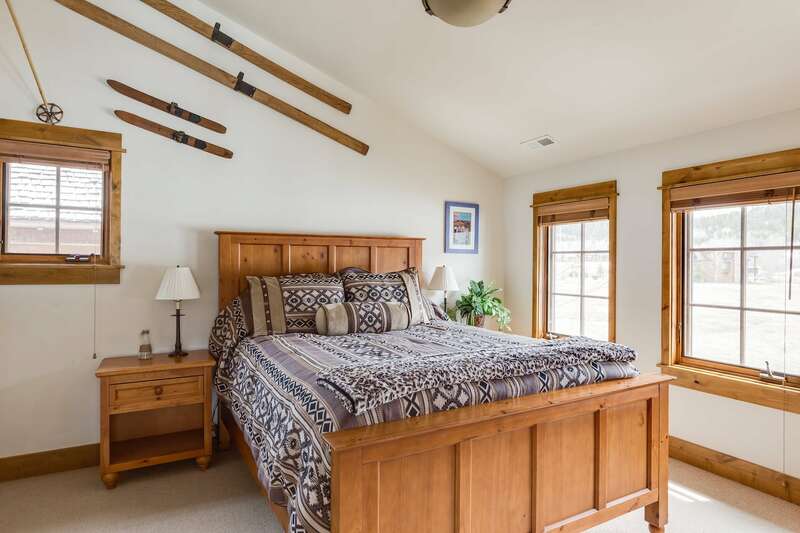 This cabin has a multitude of fun options for renters. 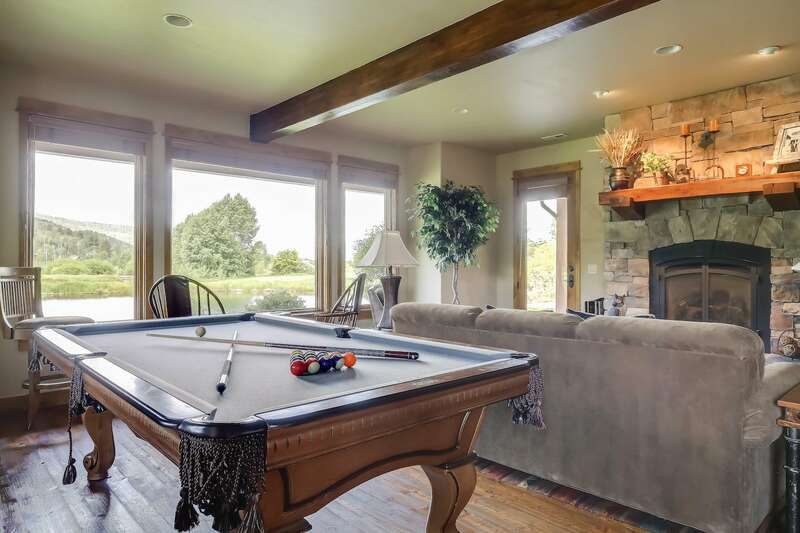 There are two living rooms each with a gas fireplace around which you can relax after a long day. 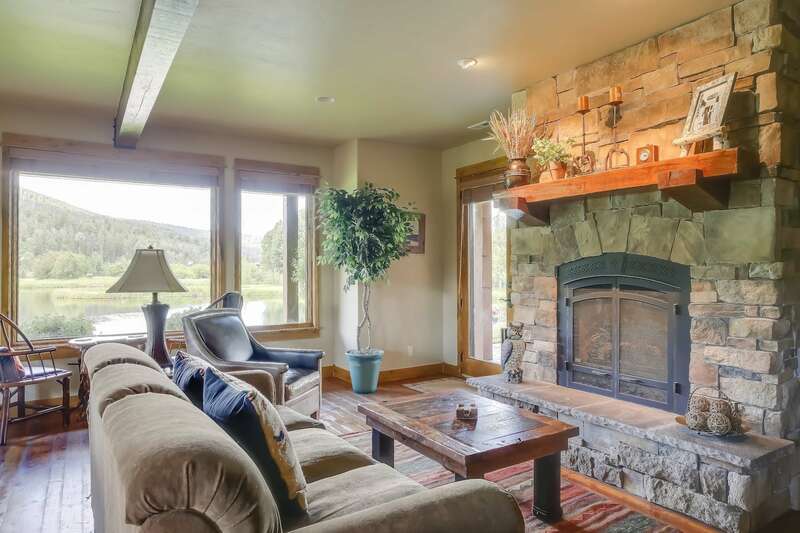 There are also fly fishing ponds directly behind the cabin if you wish to cast a line or guests can relax by the outdoor firepit. 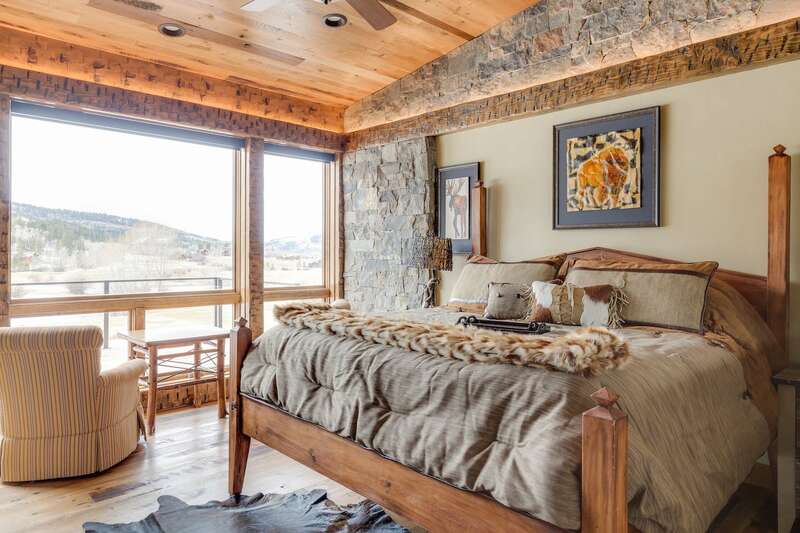 There is a king bed with a glass walk-in shower located on the main level. 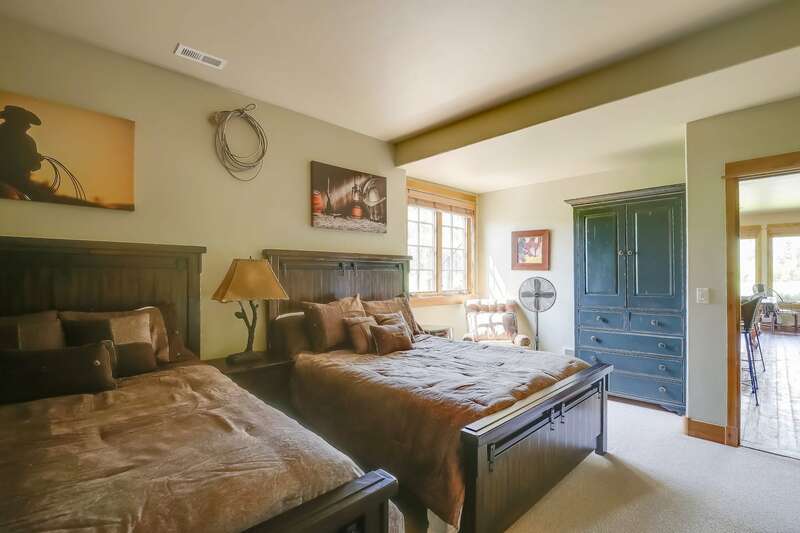 There are two bedrooms on the upper level, one with a king bed and glass walk-in shower, and the other with a queen bed and a glass walk-in shower. 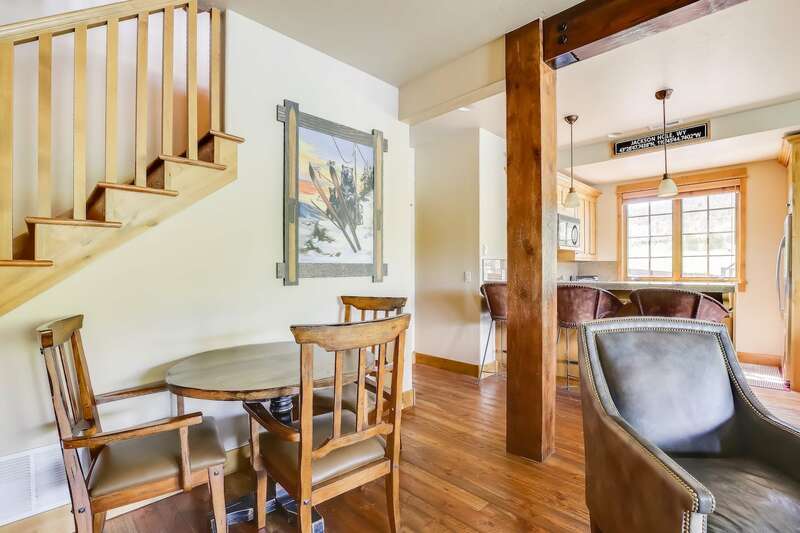 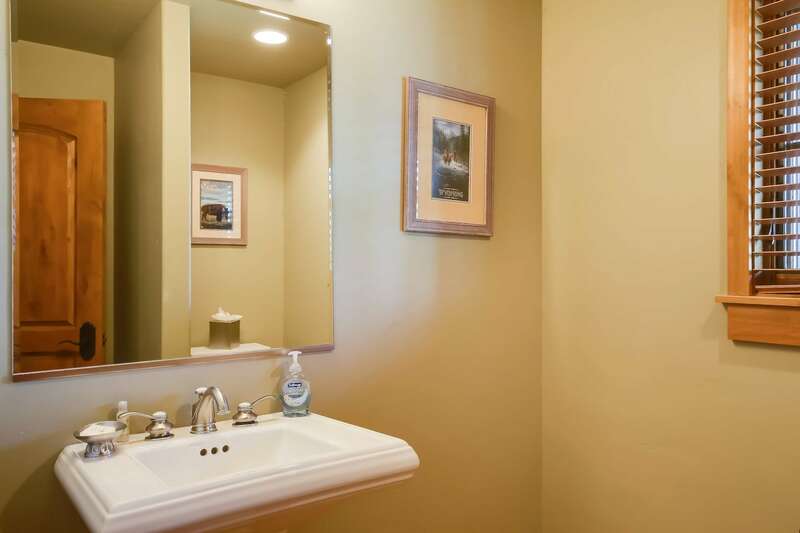 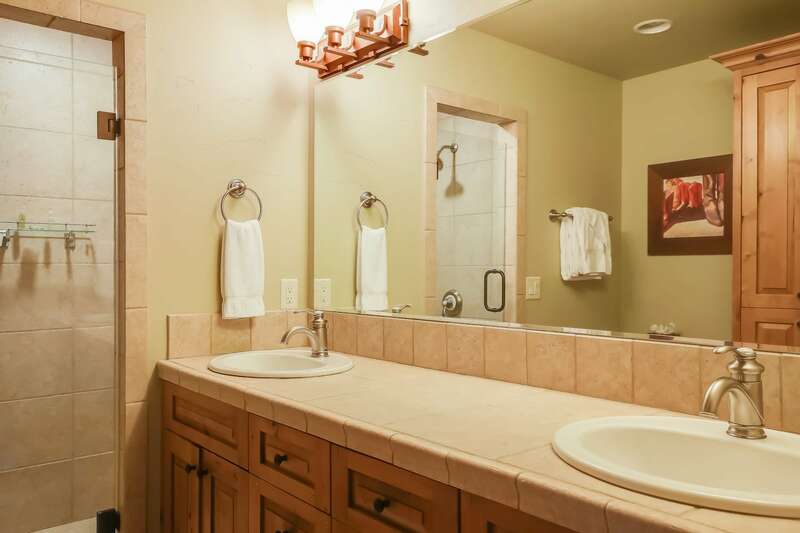 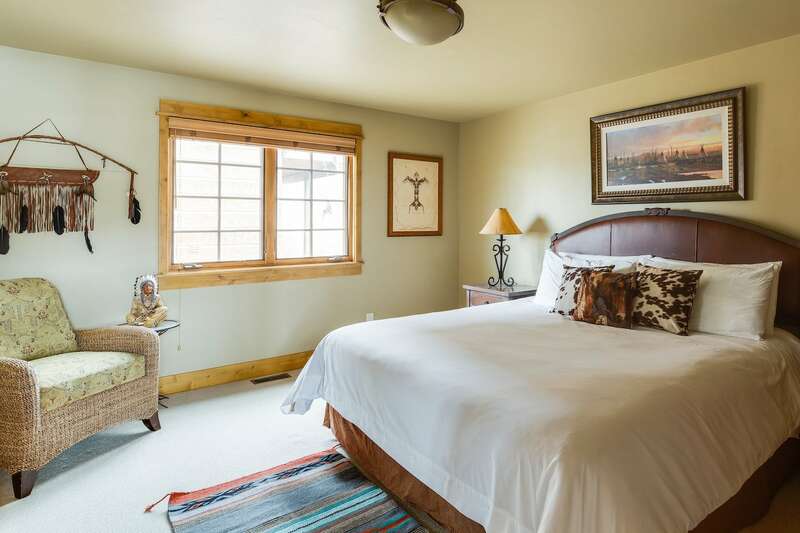 In addition, there are two bedrooms located on the lower level. 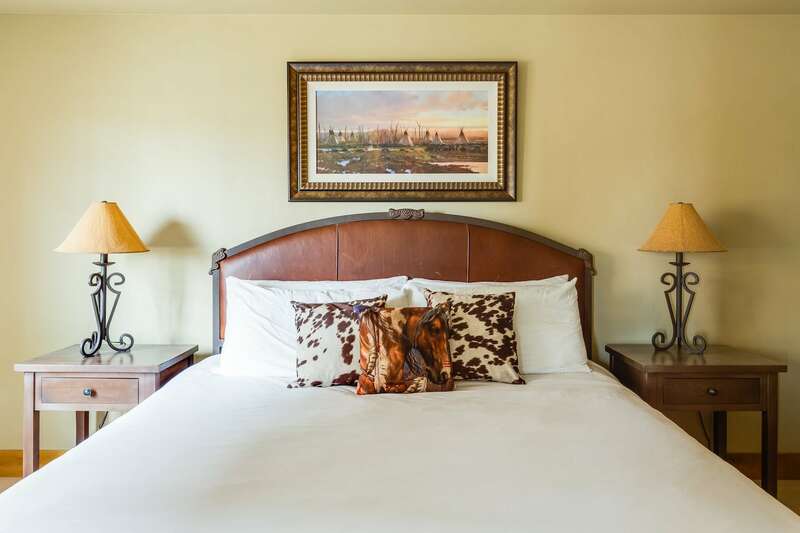 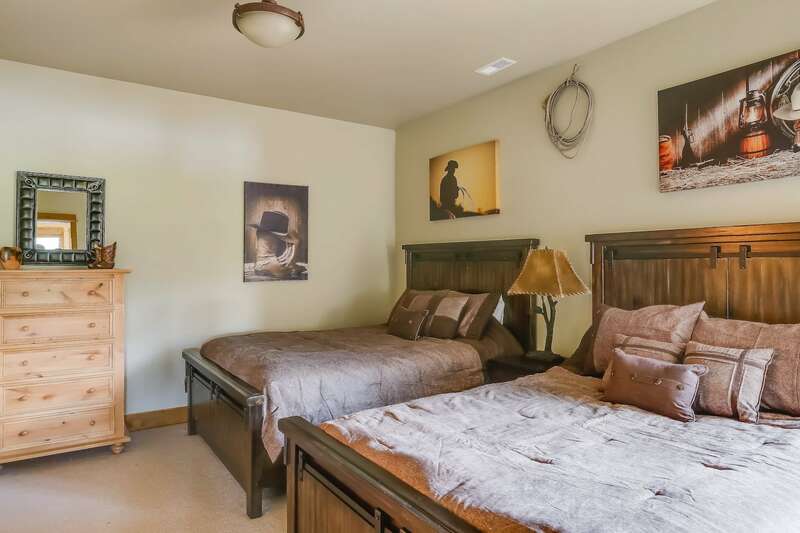 One bedroom has a king bed with a large jetted tub and glass walk-in shower and the other bedroom has two queen beds and a glass walk-in shower. 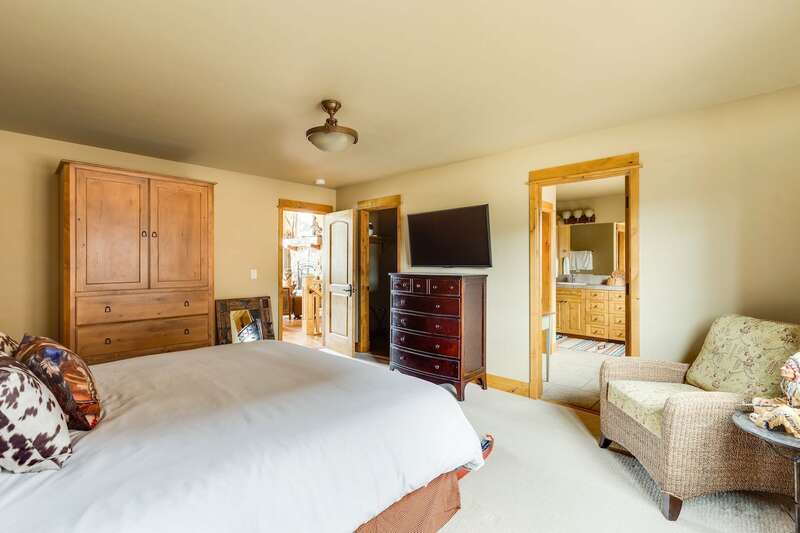 All bedrooms, as well as the kitchen, have their own televisions. 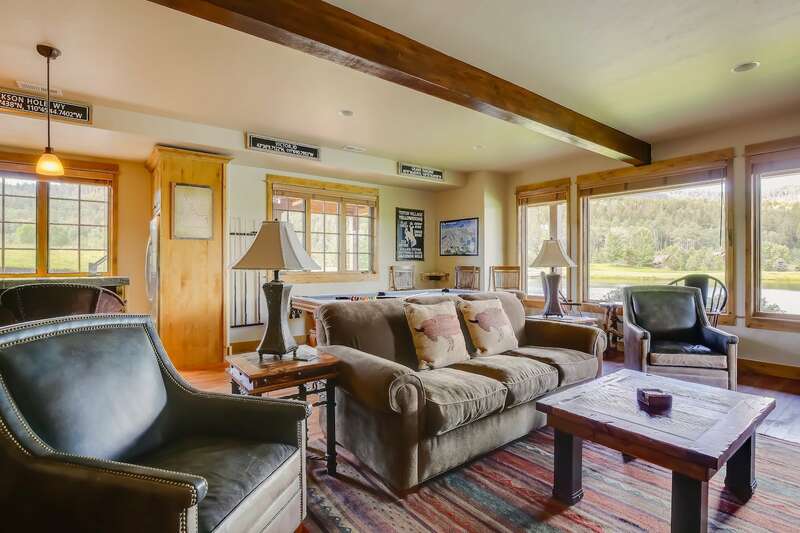 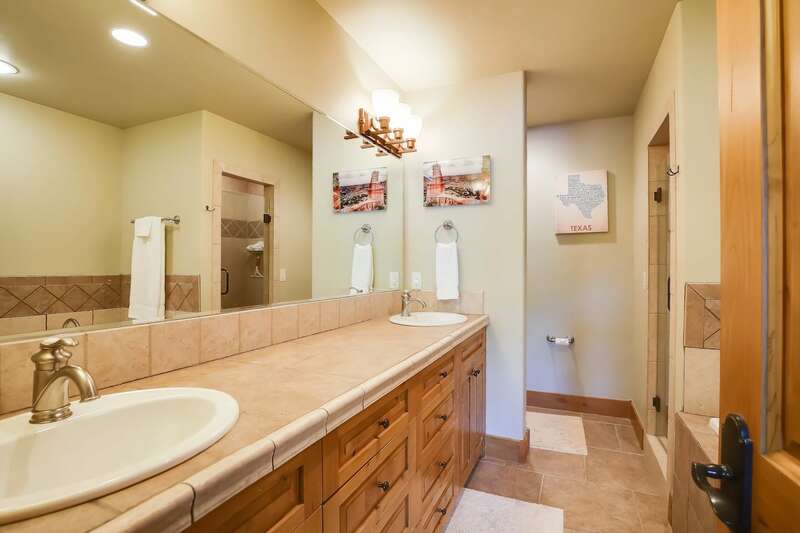 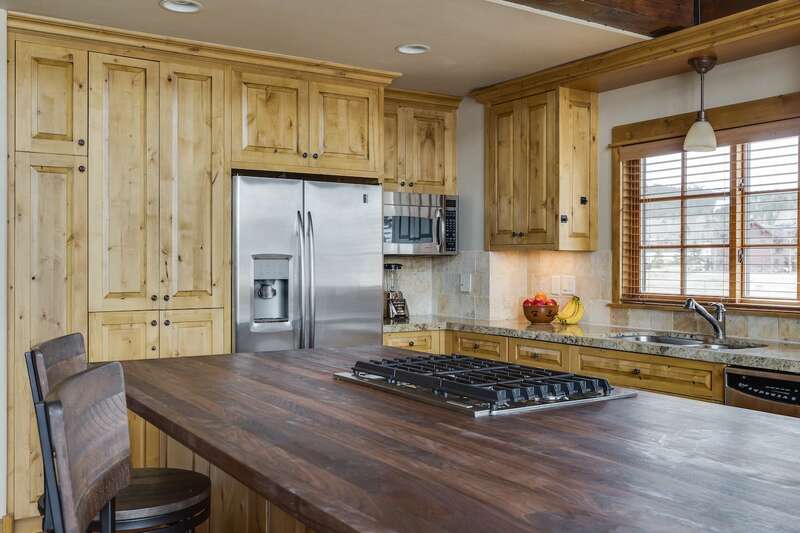 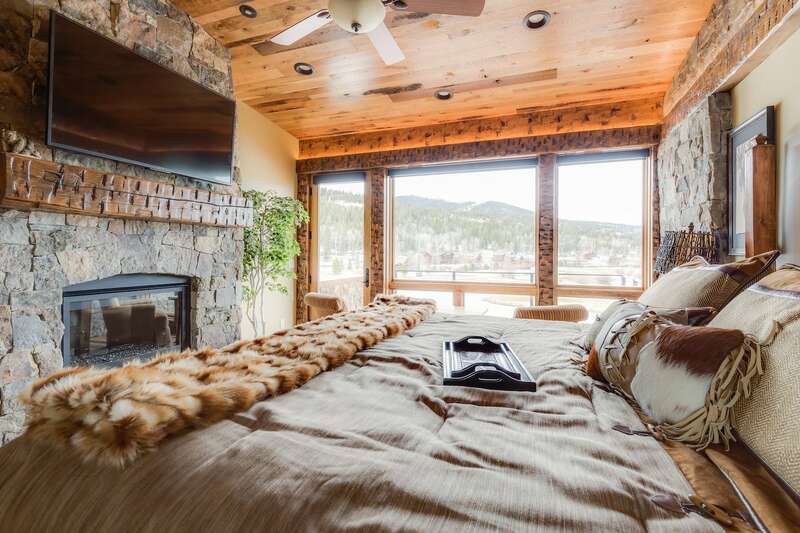 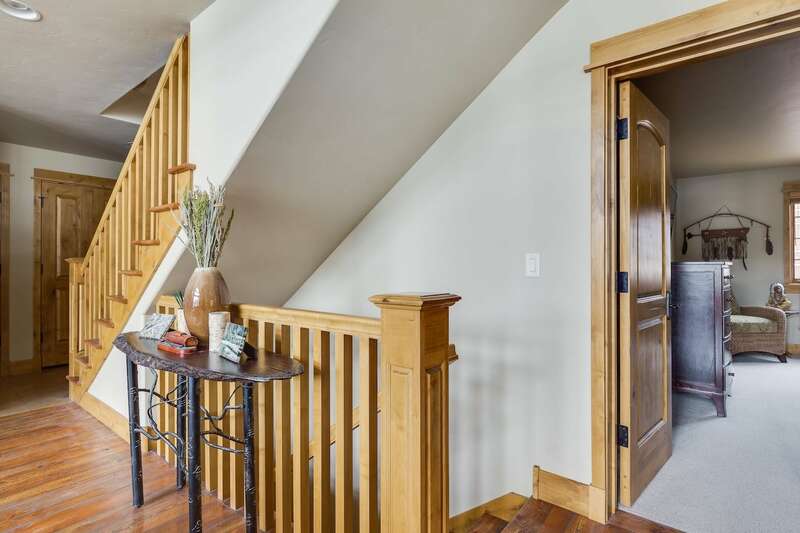 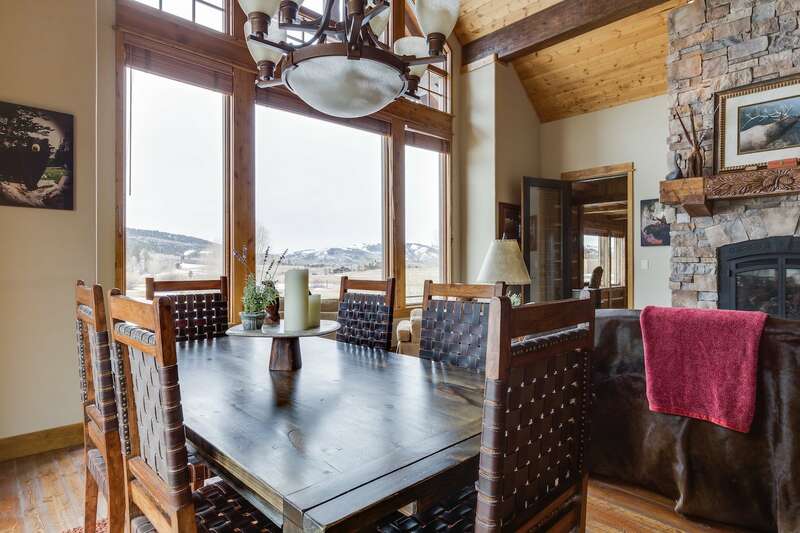 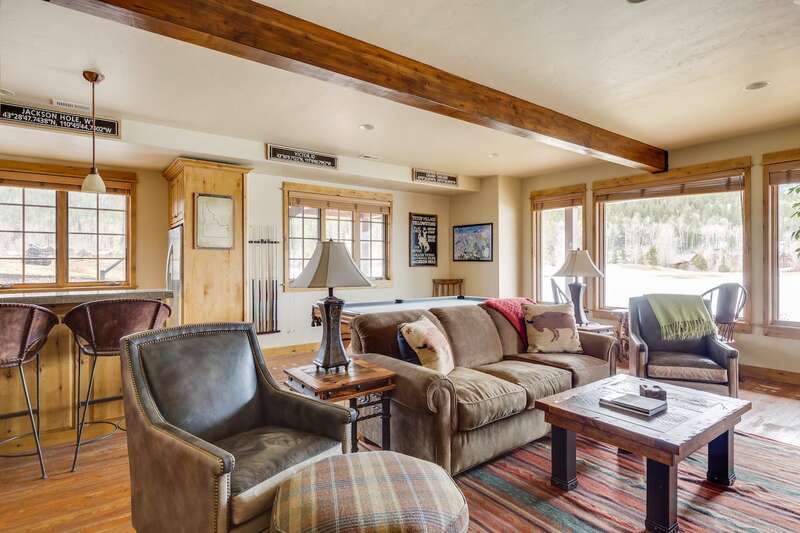 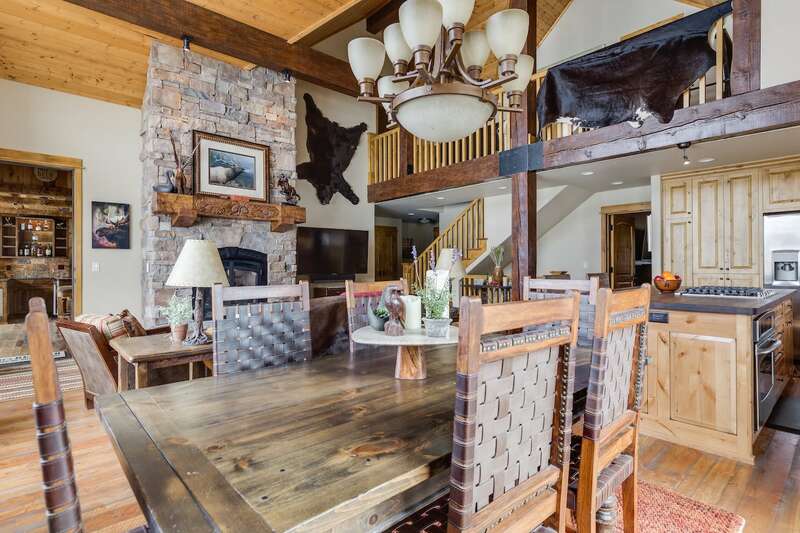 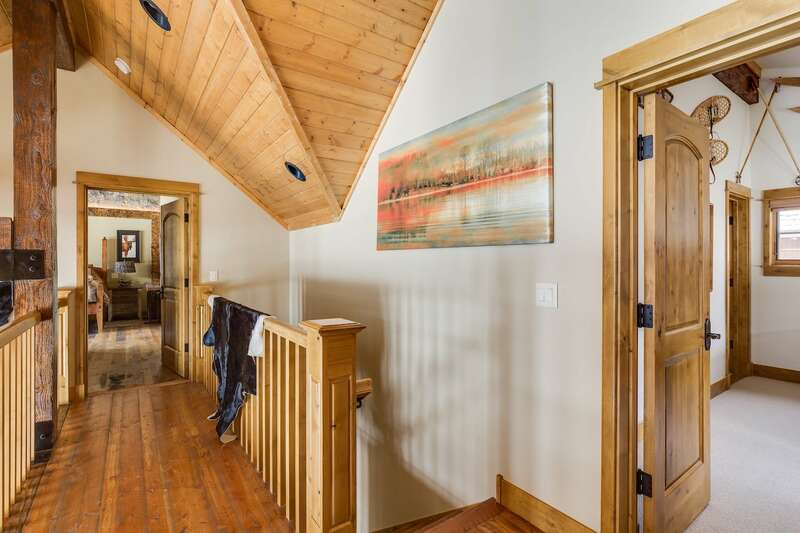 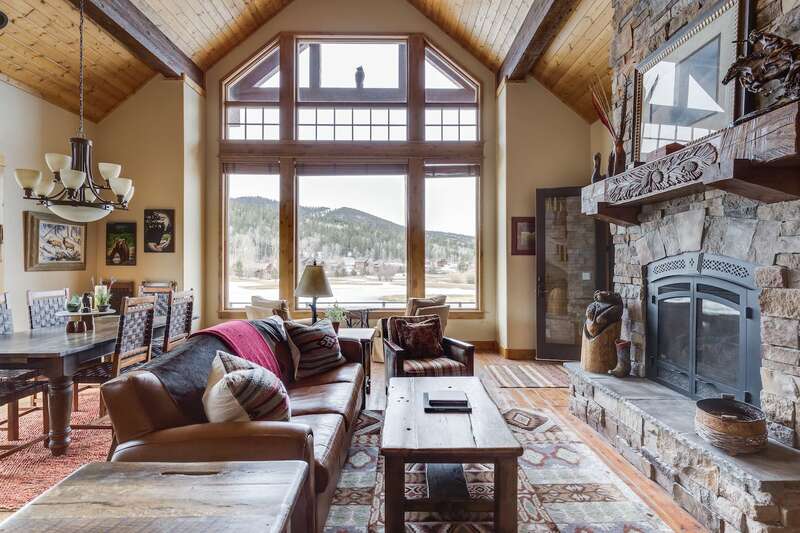 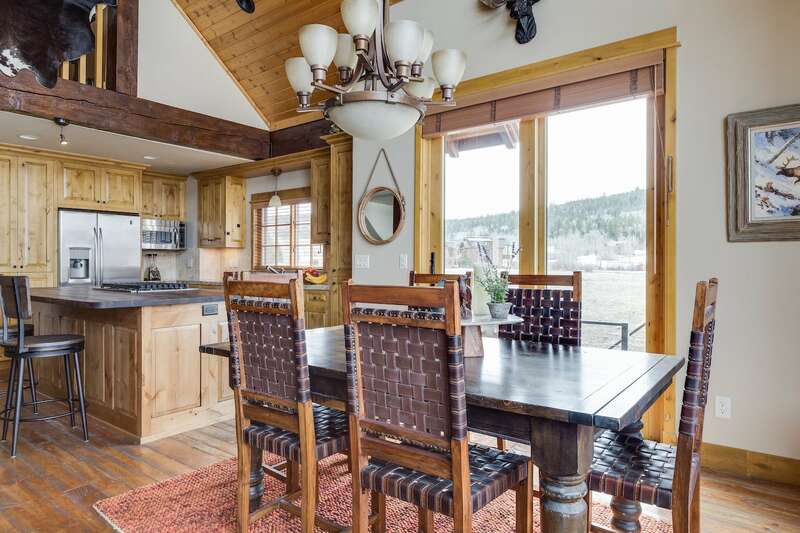 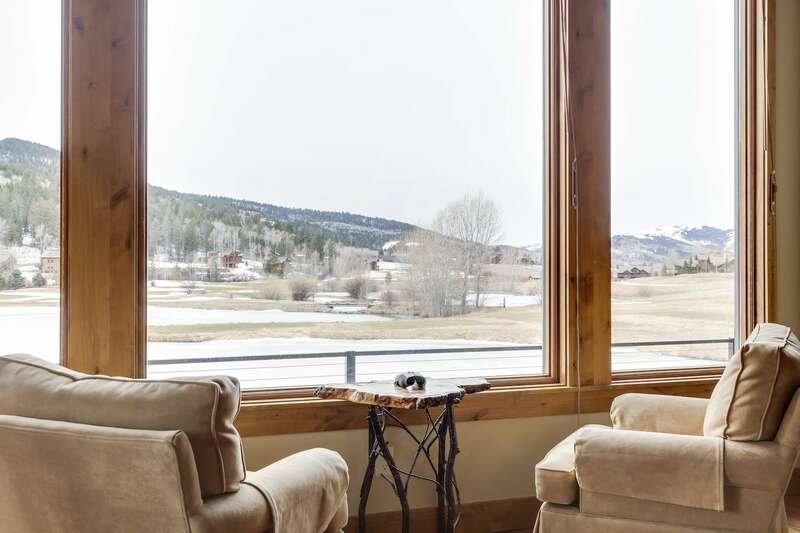 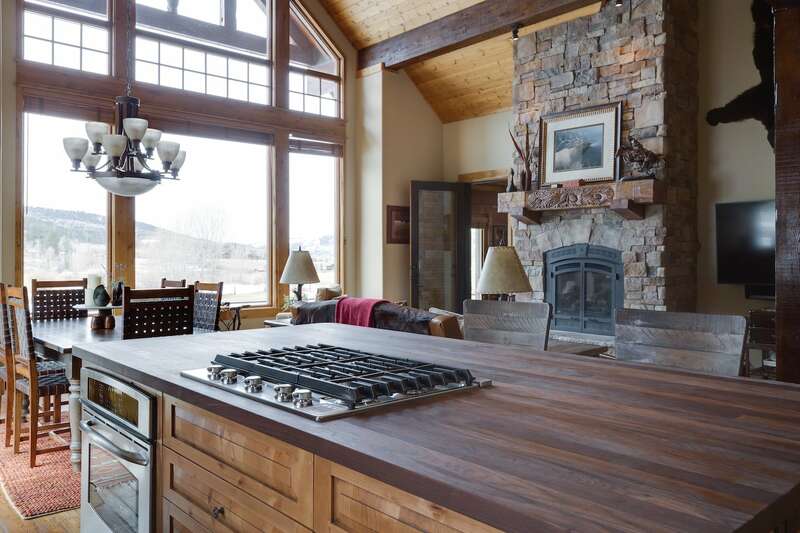 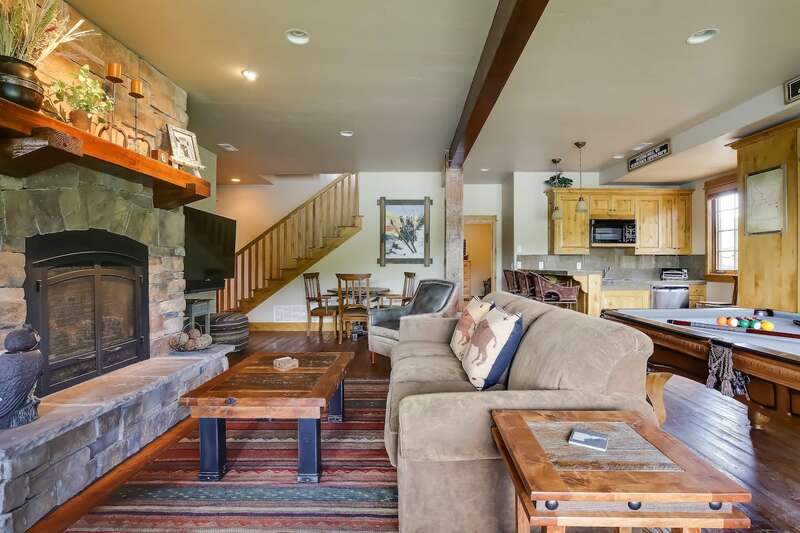 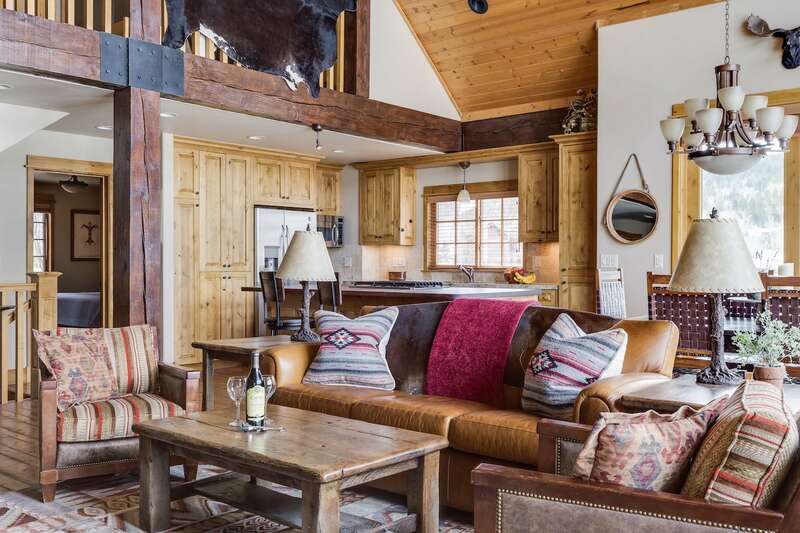 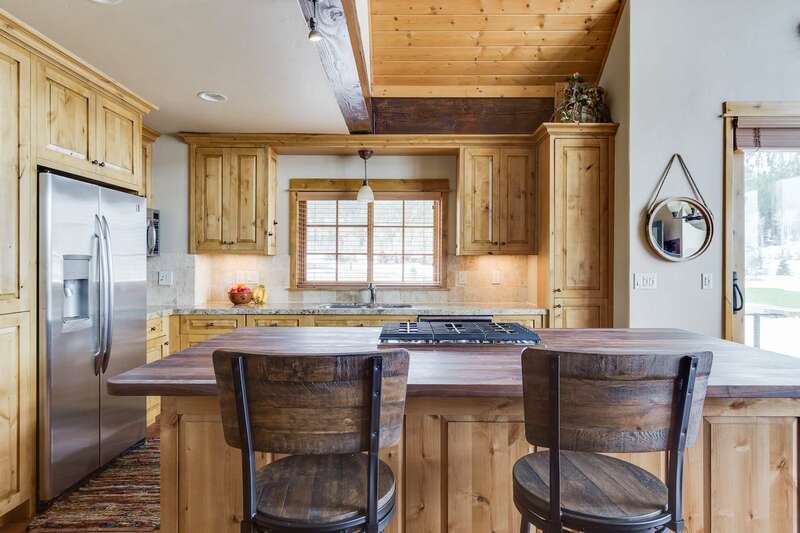 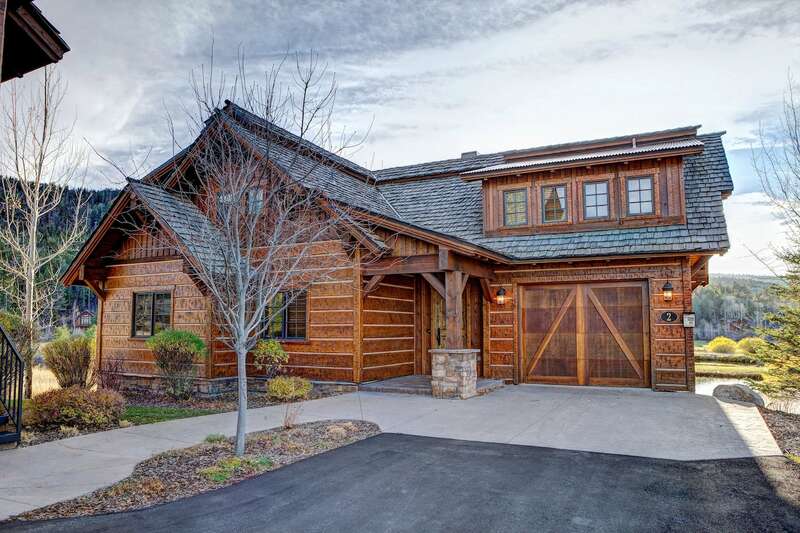 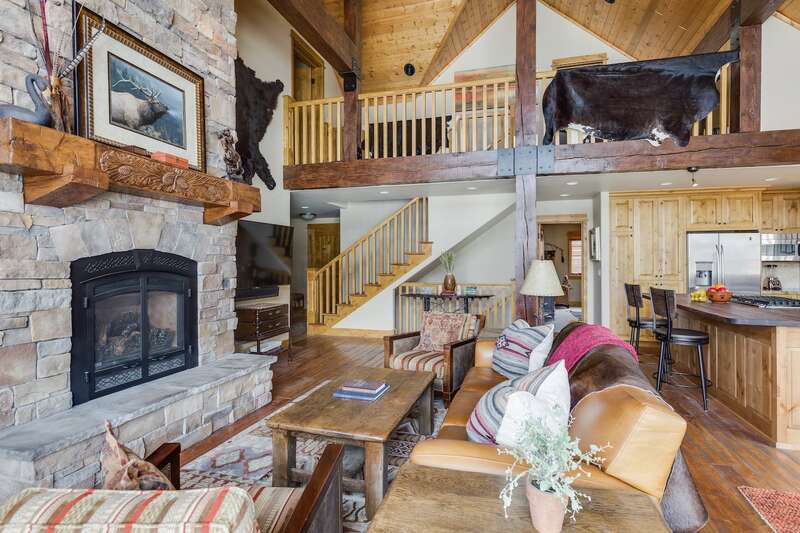 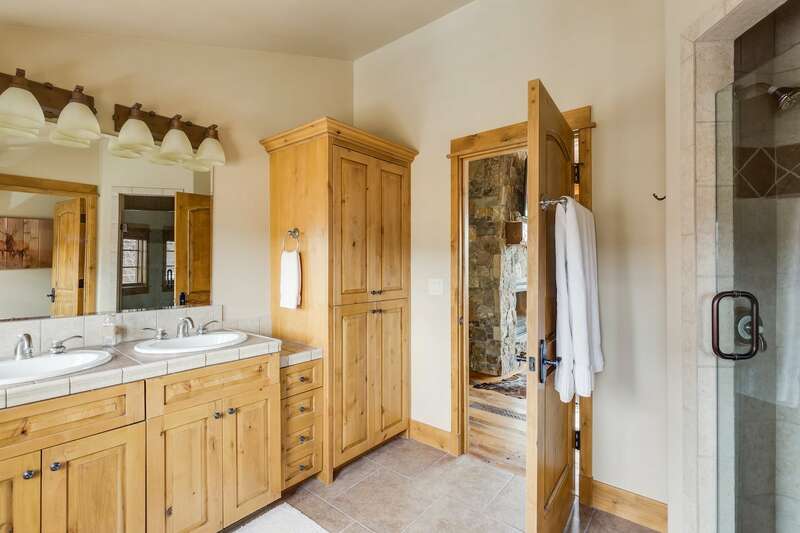 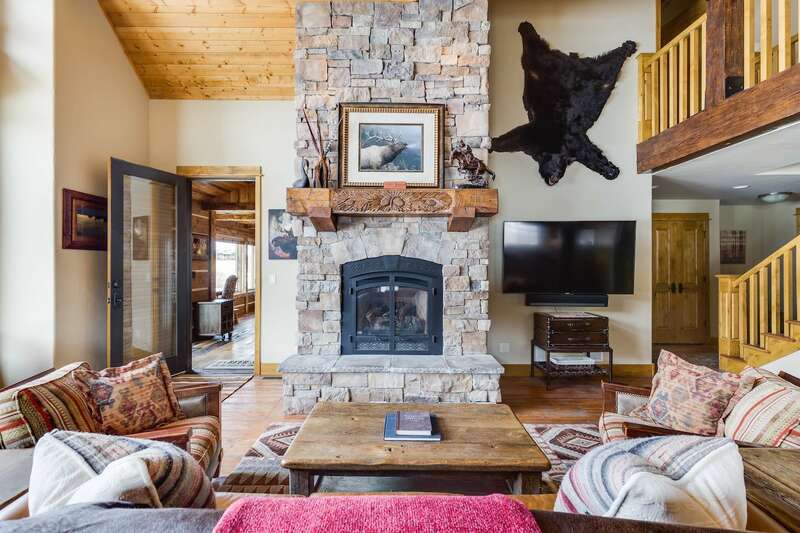 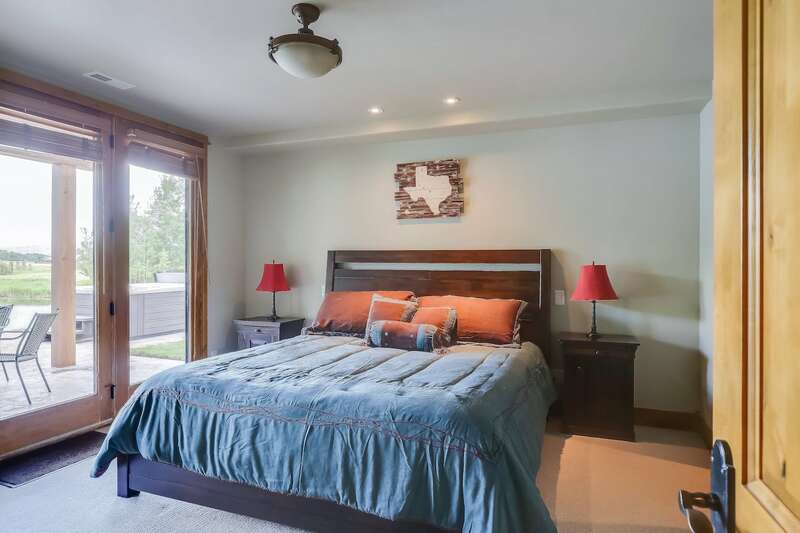 Custom 5-bedroom cabin on golf course, within walking distance of the lodge and club amenities.